September marks the start of autumn, which marks the beginning of thick skirts and tights! One of my favourite things that I've worn is my Grainline Studio Moss Skirt, which is this month's me made of the month. I made this skirt just under a year ago, and although at the time I didn't wear it that much, I've worn it a lot more recently. It's made out of a gorgeous grey wool that I bought on my summer holiday last year, and I just love it! 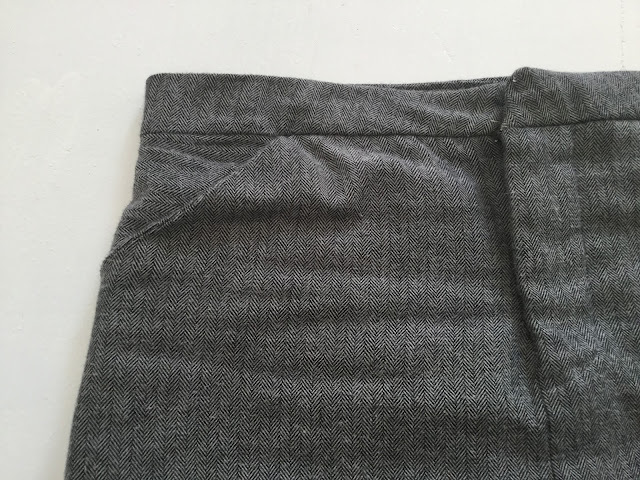 This skirt was the first time I sewed a fly, which was slightly nerve-wracking at first, but there is a great tutorial on how to sew a fly by Grainline Studio, and the instructions are very clear. At first I thought it would be quite tricky to sew a fly, but it's actually fine once you get the hang of it. 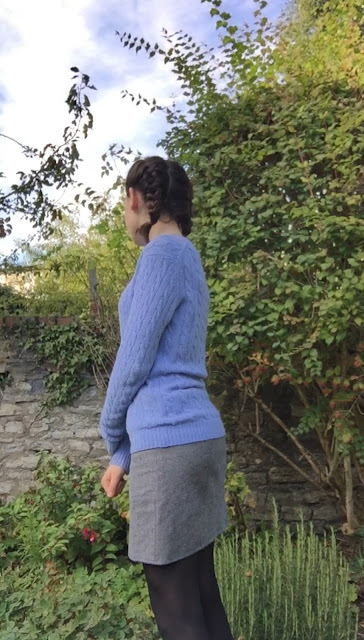 One of the things I like about this pattern are the details such as the pocket and the back yoke. Although I haven't made another version, I would really like to, perhaps out of denim. 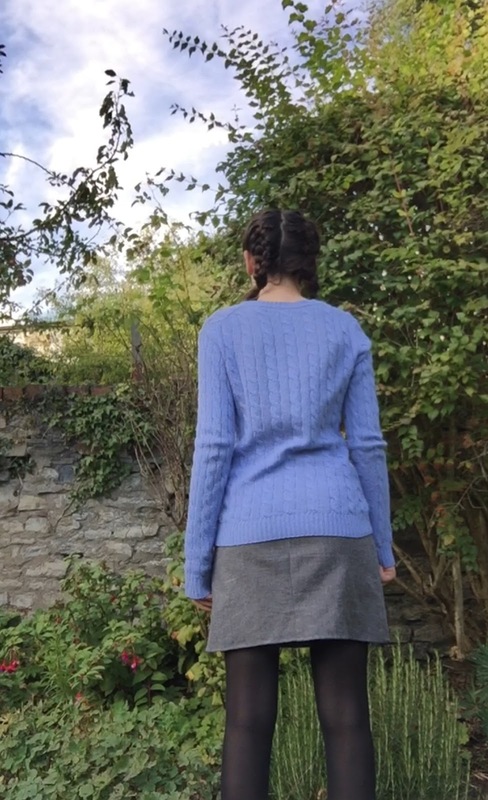 So overall, I've really enjoyed getting this skirt back out for autumn. It's just perfect as the weather cools down, and I really like wearing it. It's nice to rediscover makes from last year as the weather cools down again, one of the few consolations for me once summer is over! Very nice! I have made this skirt as well, although I have to say I really like it made up in grey! Putting a zipper in is tricky and I've done several now but I always have to follow the instructions.